China boasts one of the longest single unified civilizations in world. From ancient walls, temples and cities to mystical mountains and mist covered rice terraces; its history is characterized by dramatic shifts in power and periods of peace, prosperity and trade. Planes, trains, bicycles and taxis; Sue Brett, C.E.O of Cudoo, shares a journey from the imperial splendour of Beijing to magical Guilin, and the compelling contrast that is Shanghai. 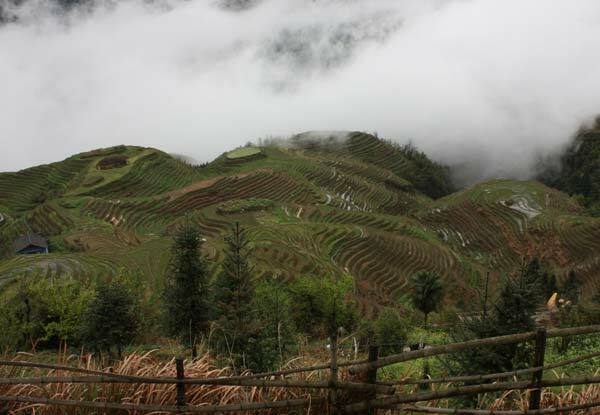 “Our first day in China was typical of this amazing, enigmatic country. We arrived at the vast open expanse that is Tian’an Men Square; from this modern square with Mao’s Mausoleum at its focal point, it was then just a short walk back in time 500 years to the Forbidden City. Formally known as the Palace Museum (Gugong), it was completed in 1420 and a lasting monument to dynastic China, from which 24 emperors ruled for nearly 500 years. The architecture alone makes this well worth a full afternoon’s visit, however, the symbolism and insight into imperial life and customs brings it truly to life. Yin and yang principles are the key to Chinese design. As odd numbers represent yang (the masculine element associated with the emperor), the numbers three, five, seven, and the ultimate odd number, nine, recur throughout the palace complex. 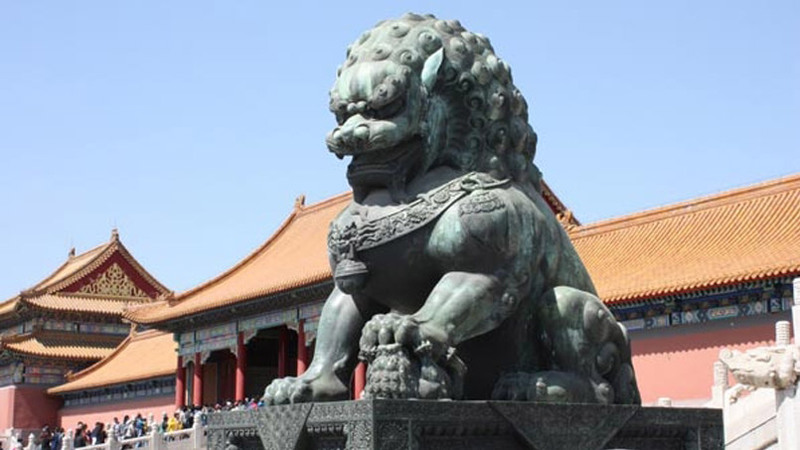 It is said that the Forbidden City has 9,999 rooms and each door for imperial use contains 81 brass studs, as 9 x9 is especially fortunate! Day 2 saw us making the one and a half hour trip to the Great Wall of China, along with the rest of China seemingly. We had planned our visit especially for the first week of April to experience the cherry blossom season, when the magnificent blossom appears and lasts for just seven days. The blossom did indeed appear in all its beauty and also coincided with the Qing Ming Jie 3 day public holiday – Tomb Sweeping Day – to commemorate and pay respect to a person’s ancestors. Although this meant that the trip took twice as long as it should, even then it was worth it. There is a reason The Great Wall of China is informally known as the eighth ancient wonder of the world; it truly is wondrous. 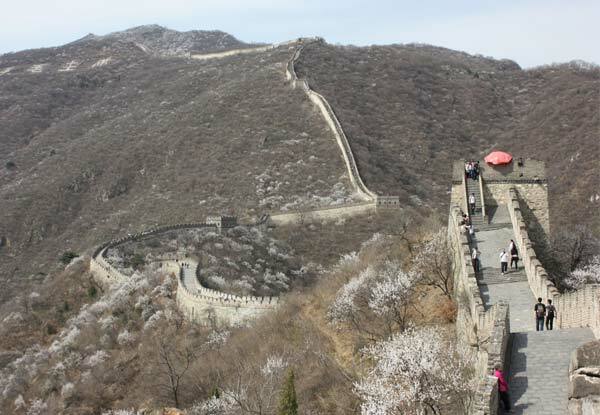 Exploring the wall from the Mutianyu section rather than the Badaling section provides the thrill of a cable ride up and down to the wall itself – well worth every Yuan! We also managed to squeeze in a trip to the Temple of Heaven and the Summer Palace on our last morning. 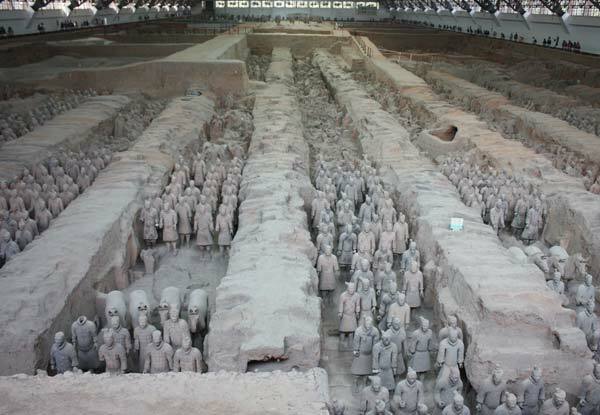 We boarded the overnight sleeper train to Xi’an, home of the Terracotta Army. 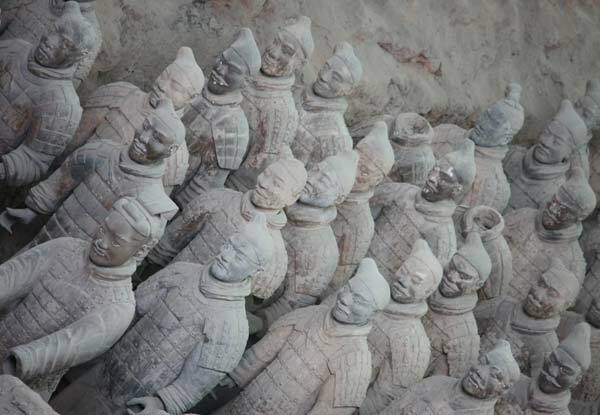 The burial army (of the Emperor Quinshihuang) was without doubt the highlight of our two-day stay in this provincial city with great character. 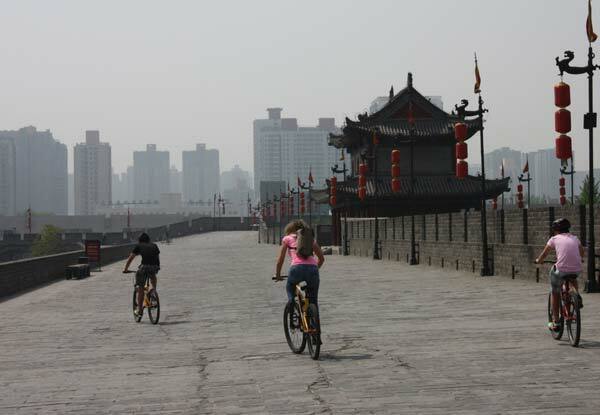 The other amazing thing to do in Xi’an is to cycle the 13.75km around the city walls. You are allocated 100 minutes to meet this challenge before incurring an extra (small) cost, however, it was the perfect way to entertain two teenage boys and they thought it was the best history lesson they had ever had! Then we visited the Bell tower in the very center of Xi’an, to look out at the city walls and appreciate how far we had cycled! For me, the most engaging thing about the Chinese language and China is the beauty held in each expression and translation. Guilin means “Forest of Osmanthus trees” and these trees were everywhere, with the amazing aroma hanging in the air. From Xi’an, we made the two hour flight to our last stop in China (this time!) 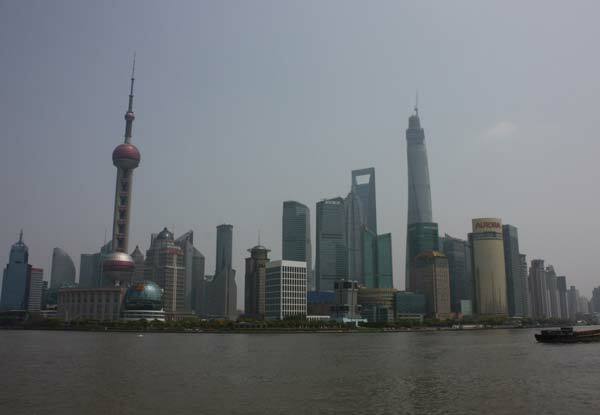 – the city of Shanghai with its very modern side; metro, MagLev train (magnetically levitated train that can reach up to 430kph, although we only experienced 301 kph), the industrial and residential area of Pudong and the business waterfront that is the Bund. This is a fascinating contrast to the Yu Gardens and Old Shanghai area, the Shanghai Jade Buddha Temple, and the nearby city of Suzhou with its Tang Dynasty defenses, gardens and Grand Canal that still links all the way to Beijing. The ten days we spent in China were truly inspiring; thousands of years of history and language combined with natural landscapes and forgotten places. Getting around can still take time, especially if you don’t speak Chinese. Top tips would be to plan your trip well in advance rather working out your schedule as you go, book a driver in each location and make sure you take a phrasebook, as most of the drivers and many of the hotel /shop staff will speak Chinese to you. We asked the hotel to write down in Chinese where we wanted to go each day, so we could point to this, and this made a massive difference. Beef Noodles – homemade noodles topped with shredded beef and vegetable mix. China is a massive country due to which its weather varies from one region to another. 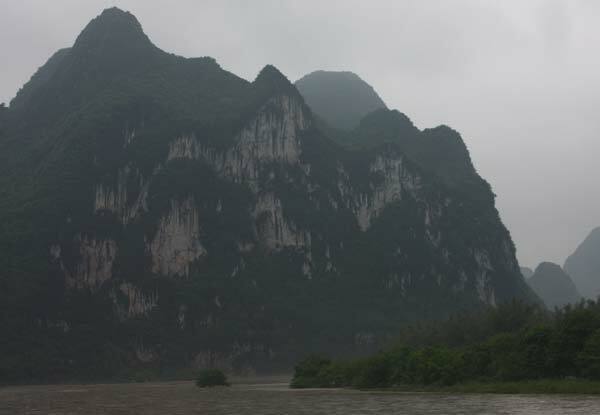 China mainly has a subtropical climate. The temperature can reach extremes, with summers being hot and dry and winters being freezing cold. In some parts of China, the sunrise is as late as 10.00 a.m. because the country has joined its five time zones into a single one. 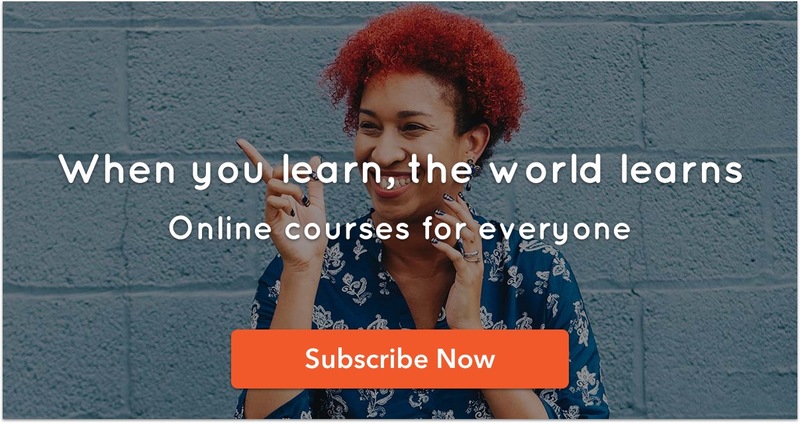 Next time, I will definitely learn a few more words of Chinese before I go – shame on me.